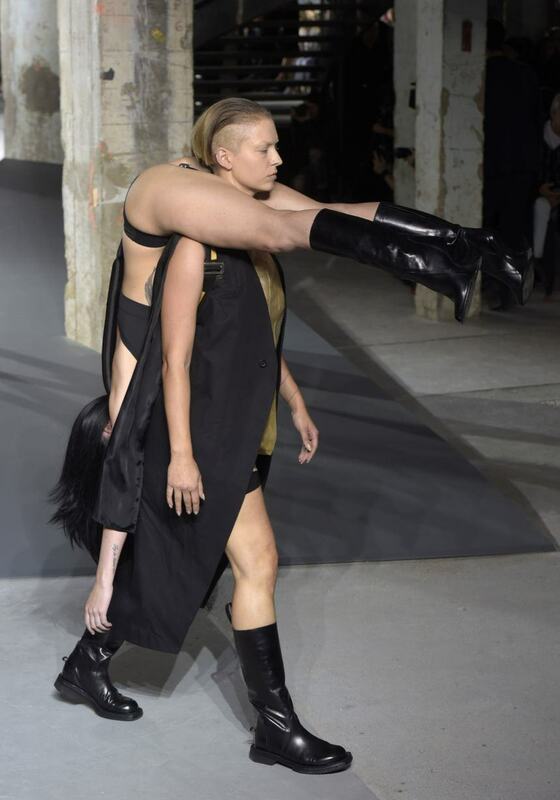 In a strong move for fashion, designer Rick Owens sent his models down the catwalk at Paris Fashion Week wearing each other. Yep. They were wearing each other. 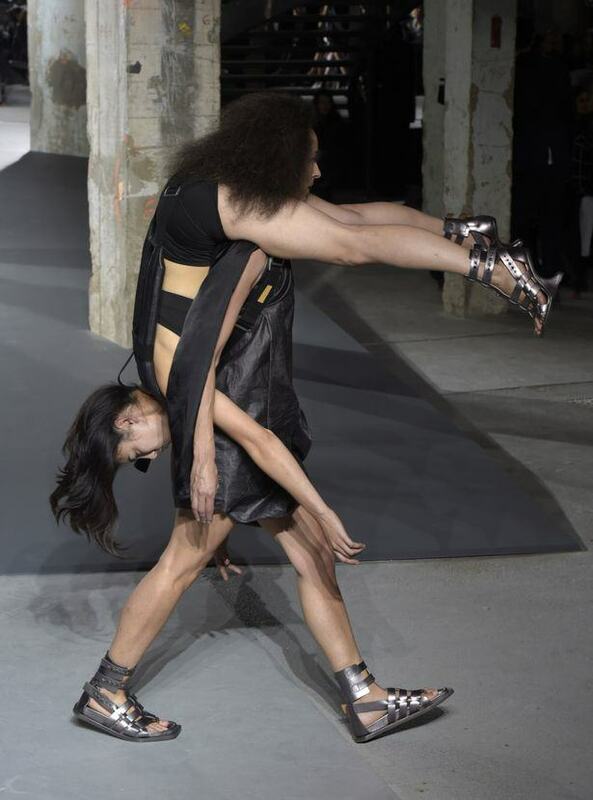 As in, one model was strapped to another model, then that person walked down the catwalk with another human being attached to them. 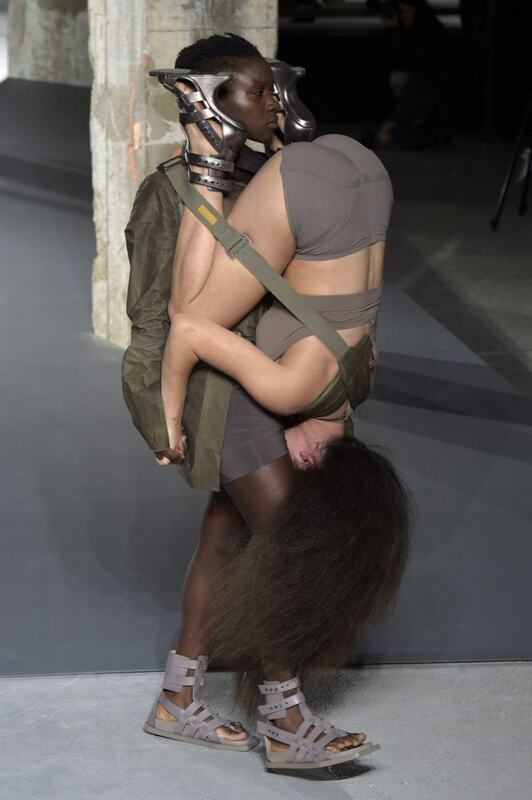 His Spring/Summer 2016 collection was a comment on female strength, the weights women have to carry, and how they support each other. 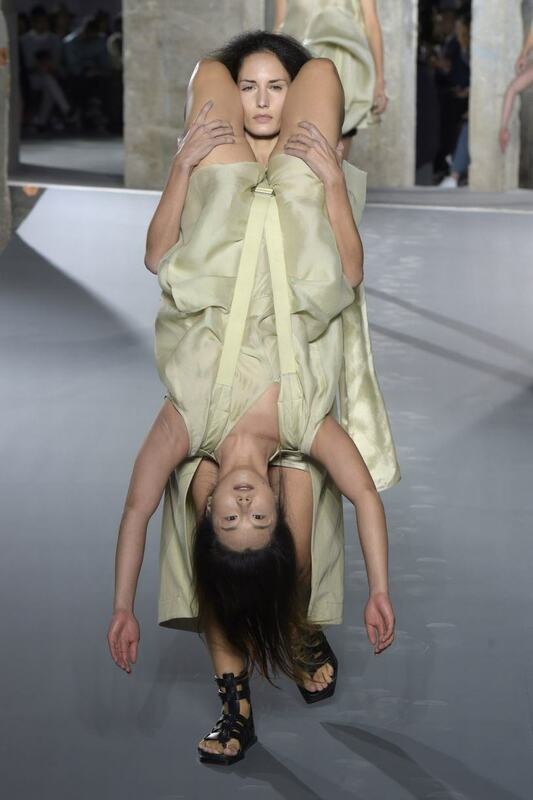 So there you go, don’t be surprised if in Spring 2016 you see people strapped to each other, walking around. 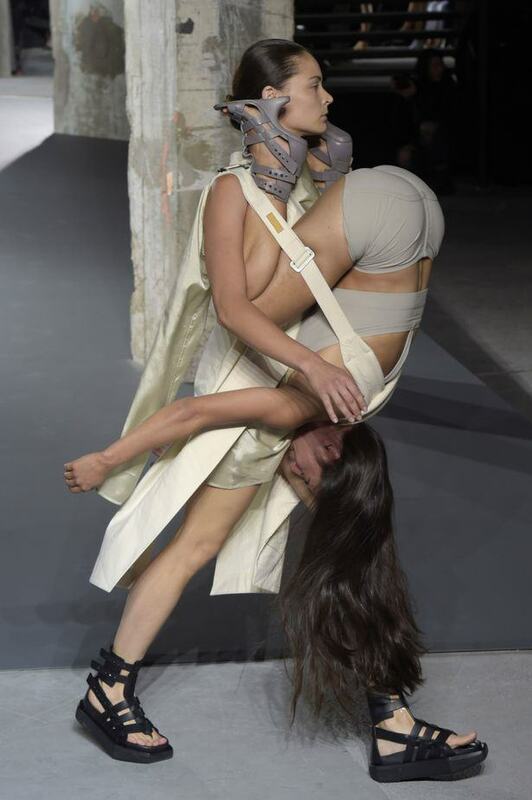 Be mildly confused, of course, but don’t be surprised.